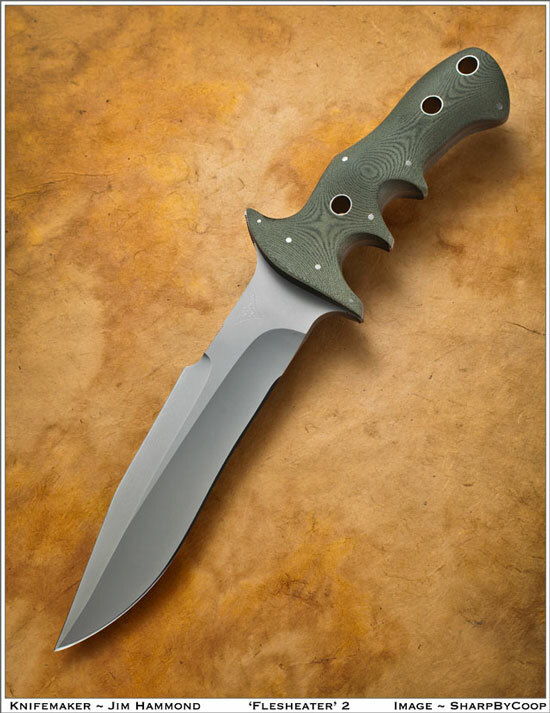 The Flesheater 2, while maintaining most all of the design elements of the original Flesheater, is designed to serve in a smaller version as a combat utility fighter, rather than as a pure fighting knife. With a blade length of 7.25” and an overall length just under 12.50”, its more compact size was designed to provide the soldier with virtually the same features of the original Flesheater but in a smaller package. 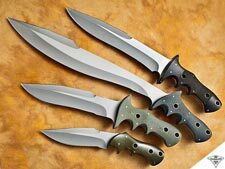 A 7.25” blade length has been the norm for many combat utility knives since World War II and was selected as the platform length around which to build the smaller size Flesheater 2. The handle shape is thinner than the original Flesheater for flatter carry. 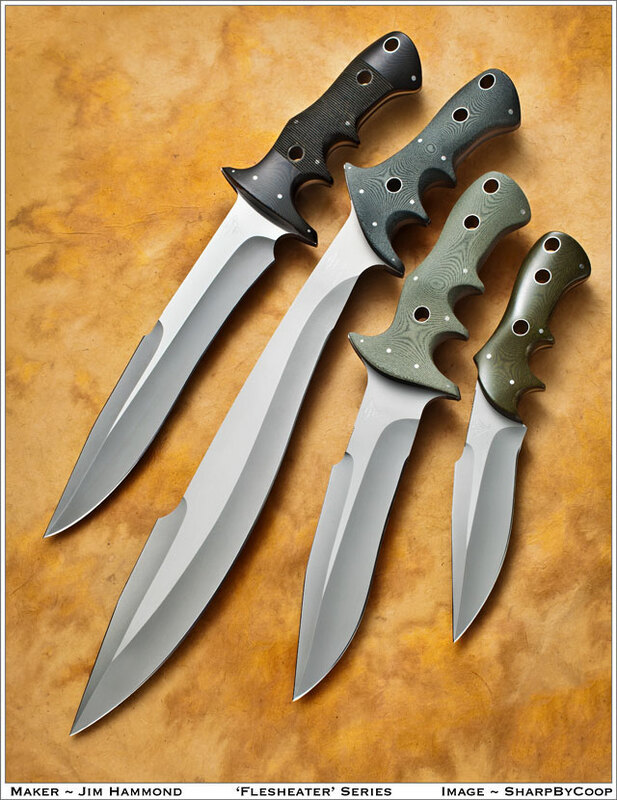 The guard tips have been shortened while the upper guard tip is recurved more toward the rear to provide greater support in the webbing of the hand in the ‘2nd Position’ grip and easier release in the defensive redirection maneuver against an opponent’s knife. The forward finger choil ahead of the lower guard is eliminated while still allowing for the ‘1st Position’ grip to be utilized. The height of the upper grind has been increased for greater cutting efficiency and the depth of the ‘Navarro Hook™’ has been increased for an even more engaging contact with a back cut. The Flesheater 2 sheath maintains all of the design features of the larger Flesheater sheath. Refer to the ‘Sheaths’ website page for additional details and options. For a complete review of all the design elements in common with the original model, please refer to the ‘Flesheater’ page.